It’s end of term for those of us on semesters, and that means it’s evaluation time. 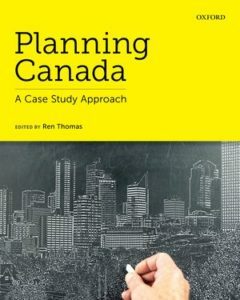 Did you use Planning Canada: A Case Study Approach in your course this year? Whether you’re an instructor or a student in planning, I’d love to hear from you. I’m conducting a study on the ways in which case studies are used in policy learning, specifically the cases presented in this edited book. For a field so dependent upon case studies, there are surprisingly few researchers out there who have examined the role of case studies in policy learning. The iTOD study I worked on in Amsterdam a few years back looked at the ways that land use and transportation planners learned from international policy lessons in TOD. The literature in this area of policy dissemination and policy learning in our discipline is surprisingly thin, and I’d love to add more to it. Take a few minutes to fill in this survey so that I can learn how you used the chapters, what activities you used in your classes, and how students applied the concepts. The instructor survey can be found here, and the student survey is here.